'Type A' telephone-style outstations are used in stadium marshalling systems. 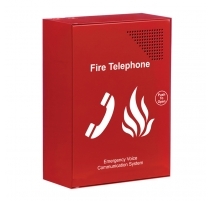 Comprising a telephone handset in a push-to-open or lockable red steel cabinet, they are typically located at entrances and fire-fighting lobbies to allow fire marshals to communicate with building control during an emergency. Their housings have openings to allow its phone to be heard and an optional flush mount bezel is available. Connect to SigTEL's central control equipment using two cores of 1.5mm sq. enhanced fire rated cable. 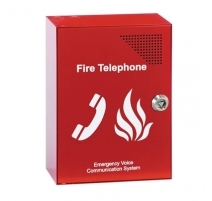 Fire Telephone (Type A) Outstations There are 2 products.